Cape Town is surrounded on three sides by stretches of coastline. It’s also where the Atlantic and Indian oceans meet, and where the warm and cool waters mingle you find a thriving marine eco-system. 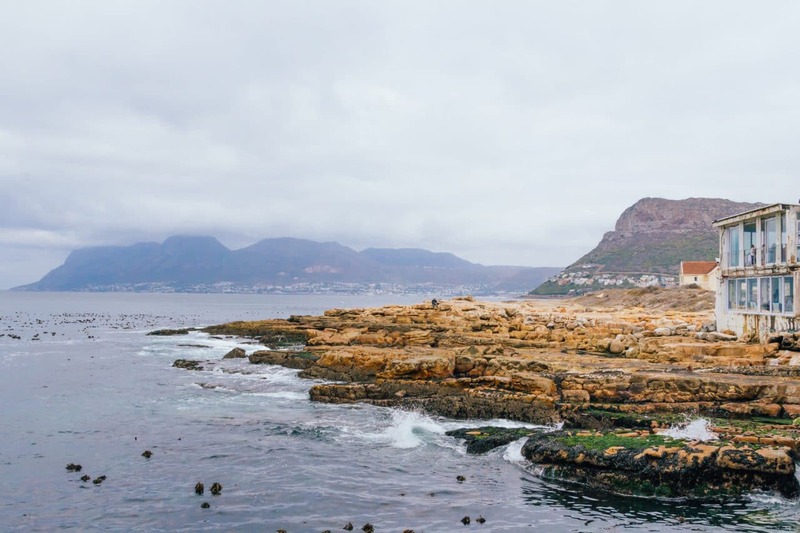 This makes the Mother City one of the best places in the world to find fresh seafood. We have a whole separate article for the best fish ‘n chips restaurants in Cape Town, but below you’ll find the places we recommend for prawns, mussels, calamari, sushi, seafood platters, and linefish. Here are our top places to find the best seafood in Cape Town. Panama Jacks has operated at the Table Bay Harbour since 1989, and serves consistently delicious seafood of all kinds. It’s a laid-back fisherman-style setting, and the seafood is widely known for being some of the best in Cape Town. Don’t miss the seafood platter for a little bit of everything. Shellfish is their speciality, so this is the place to go if you’re after lobster or prawns. The oysters at Seabreeze are a real drawcard, and they are served plump and fresh with a shallot vinaigrette. The happy hour special is worth checking out. The oysters go for R10 a pop. Choose to sit at the oyster and MCC bar, shady terrace, or inside the restaurant. If oysters aren’t your cup of tea, try the unique squid-ink prawn pasta, or the phyllo fish pie. 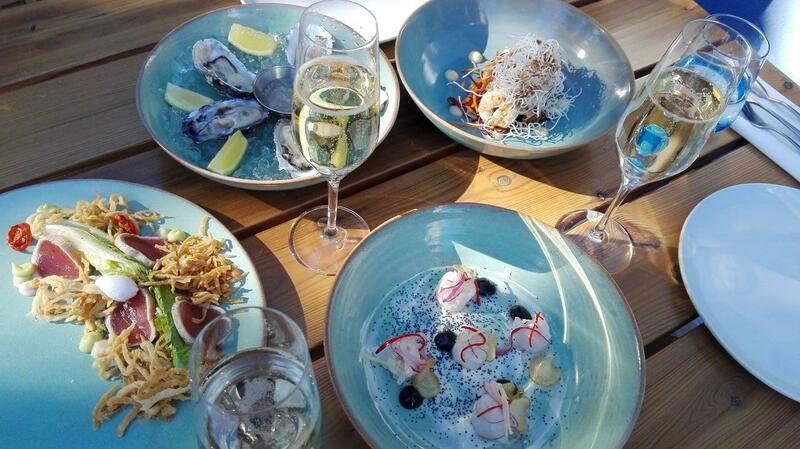 Located in the vibey Mariner’s Wharf, this restaurant offers stunning views of the Hout Bay harbour. The atmosphere is bustling and lively, but you can also book a private dining cabin (modelled after those on famous ships) for a more intimate experience. The kingklip is a popular choice, and you can’t go wrong with the fresh linefish. Pair it witha cocktail for a perfect summer’s lunch. Get your city Sightseeing bus ticket, Seafood Platter and a glass of wine at Wharfside Grill with City Pass. Nobu is one of the more upmarket options, where you can find innovative modern Japanese cuisine. It’s located in the One & Only Hotel, and the atmosphere is elegant and sophisticated. The tempura is light and perfect, and the yellowtail sashimi is the stuff of dreams. For those with trouble choosing, a bento box is a great option. On the opposite side of the bay, you’ll find the picturesque suburb of Melkbosstrand. It’s home to Café Orca, a quaint establishment on Beach Road with uninterrupted ocean views. Sit on the beachside patio and enjoy the creamy garlic and white wine mussels and a bottle of Cape Town’s finest white wine. The fish of the day is always fresh and cooked to perfection. Balducci is another water-side restaurant with brilliant views, this time over the Cape Town Harbour. The food is made fresh in the Italian style. It’s got a great vibey atmosphere and the cocktail menu to suit it. Try the sushi, or opt for one of their speciality seafood dishes. The calamari is tender and tasty and you can’t go wrong with the Kingklip Pescato. Pigalle is one of the larger seafood restaurants in Cape Town, and although it suits most tastes and budgets, it has a fine-dining flair. There is live music every night, making it a great dinner spot. The menu features classic dishes with a subtle Portuguese flair. Try the rich and delicious scallop starter. This is also where you’ll find langoustines and lobster cooked to perfection. The wine list is extensive, with everything from Dom Pérignon to popular local wines on offer. Quay Four is a Cape Town institution, with its large sundeck at the harbour. The fish ‘n chips is a familiar favourite, but the calamari, mussels, linefish, and platters are also great. Sit outside beneath the shady umbrellas and enjoy the sight of boats coming and going while the seals play nearby. Harbour House has some pretty unique views—on days with big swell, the waves sometimes splash right up against the huge glass windows, and you’ll often spot seals playing in the water below. The specials board is where you’ll want to focus. The specials rotate but the dishes are always fantastic with beautifully balanced flavours. The West Coast mussels and seafood platters are also firm favourites. This casual and characterful restaurant is the perfect place for a relaxed seafood dinner. It’s a Cape Town institution, and the daily line fish is the real star of the show here. The dishes have a Malay influence where spice is king, so don’t shy away from the seafood curries. The Brass Bell is something of an institution, and it has several different seating areas depending on what sort of dining experience you’re after. There’s the bar with televised sport, the casual seafood deck overlooking the beach, or the more sophisticated upstairs section. The mussels are a good choice, but the fish ‘n chips is hard to beat. You’d also be hard-pressed to find a better view in Cape Town. The Knysna Oyster Company is home to the best oysters in town. Visit them at the Waterfront and enjoy freshly shucked oysters with an ice cold bottle of bubbles. The views of the harbour, with seals playing in the water, complete the picture. This is the ultimate summer sundowner spot.